Founded in 1994, the famous Cork Screw Deli is known for fantastic food and great customer service. We are located at 4982 S. Tamiami Trail in beautiful Sarasota, Florida in the “The Landings Shopping Plaza. We are open Monday – Saturday from 10am – 5pm. We are family owned and operated. 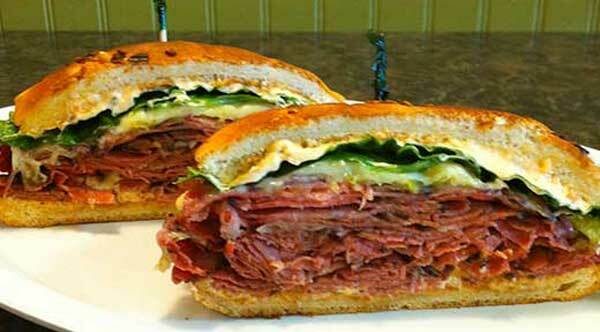 Locals and snowbirds alike can be seen at our deli everyday! We are known for our Pastrami and Corned beef, “New York Style.” We have many other sandwiches and wraps including the Dagwood, New Yorker, Caribbean, Reuben, Maplewood and more. You will love our great salads and soups. We have specials every day and welcome you to try our ½ Sandwich / Cup of Soup that is available daily. You’ll love our “Signature Salads” including the Napa Valley, Chicken Caeser, Mediterranean and more. We also have a children’s menu. Whether you are enjoying our generous portions in the Deli, catering a business or personal event, or just taking our delicacies home to enjoy, we promise you will love our food!!! Also, check out our “Buy 8 Sandwiches & The Next One Is FREE card! We invite you to come visit us for the true Cork Screw Deli experience. Bring you family and friends……our family and staff look forward to meeting and greeting you. Must place order by 10:45 am.